If you read my awful experience with the restaurant last night, you will be happy to know I wrote a complaint to them. They haven’t responded back to me and I wonder if they will. But I feel companies strive off of actual feedback good or bad. At least that is what those business majors up here always tell me. I could lie to you and tell you I’m so sad this weekend is over and all that jazz but let me tell you Blogging BFFS all that exciting things I have going on for me next week. 1. My high school is on spring break so I don’t have to go. 3. I don’t have any test or quizzes, projects or anything due. I’m not really too pleased with the Arc and swimming aspects and I wanted to get more pool time and less Arctime, but our pool was closed a few days this week so I didn’t have that luxury. My first half marathon race. Okay-confession time. I would not have done this race because of my heel injury if I hadn’t already signed up (and payed) for it. While I know I’ll be able to finish-I feel my base is still not strong enough to go the times I had been originally hoping. My goal is 1:44, which puts me .1 under an 8 minute pace. The only other half marathon I ever ran, was on a treadmill and I did it in 1:49 (I can’t hold my pavement pace on a treadmill at all). I also fractured my heels that day…can you see why I’m a little nervous? I’m doing it at a long run pace and not going to kill myself and create more injuries. I will save that for a later period in my life. Because I haven’t shared anything health related in the last few weeks from nutrition, we have been working on projects and talking about diets and the benefits and consequences of both. The most common diet that is often talked about in class is vegetarian closely followed by vegan. Many college students really just don’t understand the benefits to being a vegetarian or don’t respect their choices. I know a lot of people in the bloggingsphere know more about them they I could ever hope too (and I’d love for you to write a guest post about it), so I’m going to stray away from those topics. I’m a firm believer that your diet is your choice-if you are making healthy choices and what works for your body than it’s no one else’s business or concern. The key is healthy choices that work for your body (and another topic I’m going to stray away from is ED because like I said-a lot more people know more about that topic as well). If root words were pounded down your throat in early high school like mine you will know that ovo is eggs and lacto is milk, so a diet consisting of milk and eggs for main protein sources. Before I ramble off-I am not a lacto-ovo vegetarian as I do prefer meat and seafood. I don’t have a lot of red meat (but it is still in my diet). I am also not your health care provider (and god knows you wouldn’t want that) so please go talk to him/her before deciding this is for you. I’m only here to talk about something other than myself. This sort of diet does not include eating any animal flesh such as cows and chicken obviously. When you think of vegetarians, the most common is a lacto-ovo. As with many vegetarian diets vegetable foods are the largest part of the diet, which consists mainly of fruits, vegetables, grains, legumes, nuts, and seeds. Many people who are strictly lacto-ovo vegetarians have become so for the moral and ethical reasons. I don’t want to really get into that either, because you clearly know what those are. 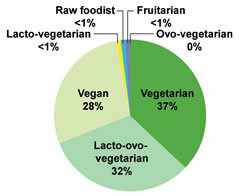 In the US, it is estimated that 5% of Americans are lacto-ovo vegetarians. The growing amount of people that have become worried with their health due to the American centered “beef” diet, has caused a good deal of people to turn here. The minerals and vitamins that are the biggest concern for people who are lacto-ovo-vegetarians are but not limited too protein, vitamin A, vitamin B12, vitamin D , calcium, iron, zinc , and essential fatty acids . Like I said, just food for thought (literally). I’d like to know your opinions as well. I always love hearing from you. Um incase you wondered if I have been productive this weekend…I’m sure this lol cat will answer the question. I definitely agree with your statement that a lot of college students don’t understand/respect vegetarians or vegans. There’s probably a lot of vegetarians at my school because there’s a lot of hippies, but a lot of people in general don’t really know what vegetarians eat or the ethical reasons behind it. I’m a lacto-ova-pescatarian because I eat seafood occasionally, and I know iron is a problem for me because I’ve been denied from giving blood because of low iron. I’ve heard iron is a problem for female runners too. I have low iron as well, I actually can’t give blood because I lived in England during Mad Cow disease. I truly believe that a diet should be based on your individual views. I’m not calling any bloggers out, but I have read a few blogs written by people who are vegetarian because they think they should have that label or they think people want to read a vegetarian blog. Umm, thats really stupid. I actually know that a lot of my readers are vegetarian, but I am still posting meat. LOL. I agree with you, Matt. And wow, thats crazy that some one would do that just to blog! I don’t read blogs that don’t write them for them. It seems most blogs start out writing for themselves then many begin to fit a mold of what a blog should be. 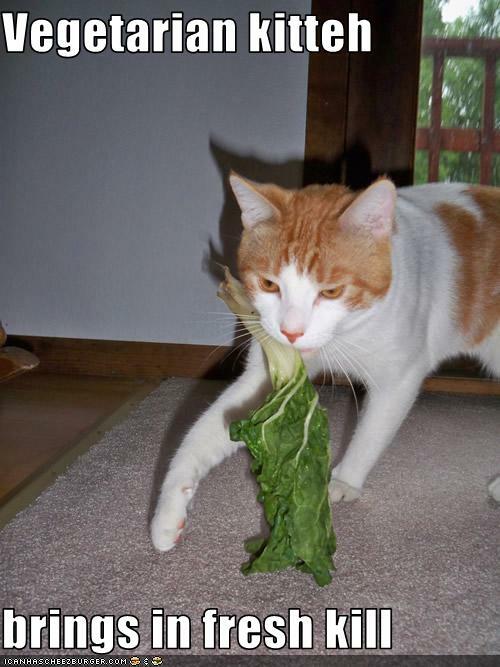 I used to be a lacto-ovo vegetarian, but was in my late teens and didn’t bother to pay attention to proper nutrition. About a month after I re-introduced poultry, my swimming times improved drastically. I really don’t know how I could get enough protein to support 80-120 minutes of training a day without at least fish. Hollie I think you have been so smart with your training since your heel injury, so I know you’ll do fine during the race. You’ve worked towards this and I know you’ll get to your goal! Thanks Holly! You are too sweet! 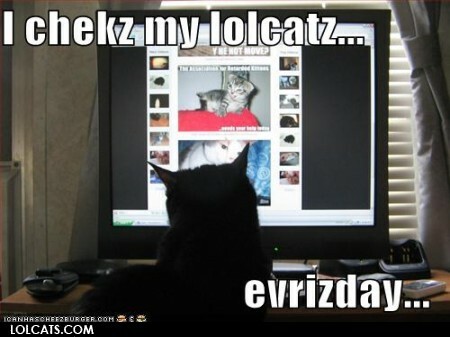 I was so unproductive this weekend, so you, me, and that cat have a lot in common. I’m a lacto-ovo-vegetarian, but I’m not crazy. I still eat jello and parmesan cheese and marshmallows. I’m surprised by the amount of people that don’t understand vegetarianism/veganism! I get a lot of questions from older members of my family who don’t quite get it, but most young people I know get it. They ask a lot of questions about why I personally don’t eat meat and what I personally don’t eat. Lacto-Ovo (and pesca!) that’s me alright:) I was reading all of the comments on this post and I hadn’t realized how many bloggers (whose blogs I read everyday!) are also lacto-ovo veggheads. I guess the thought just never occurred to me! I’d love to do a guest post or read a guest post or anything, just cuz I love the topic of vegetarianism and think it’s crazy how little some people know about it…I def. don’t just eat salad all day! I would love for you too! Shoot me an email at lolzthatswim@gmail.com. I definitely think that eating (whether vegan or complete carnivore) is such a personal thing, and to each their own. We all have different reasons as to why we eat the way we do, and I don’t think people should judge! Good topic by the way! I agree that if it works for you and you are healthy, do it! I mostly eat meat because I don’t care for it. I don’t have a rule against it and if I want it I will eat it on occasion. And I don’t eat dairy normally because I really believe it is not essential to out diets. *I meant I mostly DON’T eat meat. I get plenty of protein too, maybe a surplus hehe. You aren’t vegetarian right? I kinda don’t get why some one would eat eggs and milk and they don’t eat meat… know what I mean? That sort of thing just seems a little disordered to me. Or why its cool to eat fish but not chicken? I’m not hating or saying its wrong! But I really do take interest in understanding why some people eat that way. Often then very very legitimate reasons! HEY GIRL!! Aaah missed ya my twinnie 🙂 And you will easily get that goal no doubt cos you are a speed DEMON, depsite your injury!! I definitely do not fully understand vegetarian or vegan diets but I think no differently of those people. I think what you put into your body is up to you and no one else and as long as it’s being done for the right reasons and in a healthy way I see no reason why someone shouldn’t be able to chose what they put into their body. I find your posts about different diets full of great information! Good luck with your upcoming half marathon! Do what feels right for your body, especially your heels, and you’ll be fine! Nice post, Hollie. I also could not be a vegetarian because I love seafood so much. But, I do not eat cows or pigs..but those are just personal reasons. Oh my! I think the reverse happened to me went I went from roads to treadmills. I think someone’s diet is very personal and everyone should just respect it. I pretty much eat everything but like I’m not really into steak so I won’t eat it. I hate when ppl criticize the vegan/vegetarianism lifestyle and most of it comes from ignorance. People don’t understand that there are other sources of protein that aren’t just from animals. I agree. You cannot get into someones personal life and critique their diet and if it works for them-it isn’t anyone elses concern. your first half marathon!!! WAHOOO!!! you will do awesome no matter what. what half are you doing?